A Tracking Virtual Set is a solution that allows you to mix real time video signals on a green/blue screen with a real time 3D computer generated environment, all in sync with real time camera motions. With this solution, camera movements such as Pan/Tilt/Zoom/Focus and the camera positions are tracked and the virtual graphics are rendered in sync with the camera tracking data to provide the full composition in real-time. Some of the benefits of working with a Virtual Set is obviously the creative freedom you have when designing your set, but also the fact that replacing the set and switching between productions in the same studio space is instant. A Tracking Augmented Reality solution (AR) allows broadcasters to blend 3D virtual graphics with real time video signals from a real traditional set, all in sync with real time camera motions. It also implies the synchronization between the camera tracking data and the real-time 3D graphics, similar to that in a Tracking Virtual Set solution. The difference is that with an AR solution, you are keying your virtual graphics onto the signal from your real, traditional set. Adding augmented graphics capabilities to your studio production is a great way of starting to explore the possibilities with Virtual Graphics. A Trackless Virtual Set is a solution that allows broadcasters to mix real time video signals on a green/blue screen with a real time 3D computer generated environment without the need to track the camera positions inside the physical studio as all cameras are locked in position, zoom and focus. The video signal from the fixed cameras with the anchor on the green/blue screen becomes part of the 3D environment, creating virtual cameras that can then be moved around the anchor in real time - simulating “real” camera movements. This allows you to simplify the elements needed and it drastically decreases the Total Cost of Ownership, although the solution comes with some constraints. Now, let’s get into a bit more detail about what is needed for a Tracking Augmented Graphics solution versus a Virtual Set solution and what the differences are between Tracking and Trackless. Obviously, the better the camera quality, the better your final output will be. But in addition, you also need to think about what type of camera motions you want use in your production. Do you need a jib, track or maybe a steady cam? And should the cameras be manually or robotically operated? Today there are great solutions for all scenarios. It’s important to think about the stories you want to tell and what graphical look they should have. You will need a skilled 3D artist that understands real time constraints. If it’s a virtual set that you want to design, think of hiring a real set designer to keep a consistent look and feel. If you are using virtual sets, a large part of your success will depend upon the quality of the keying. Regardless of if you’re using a software-based chroma keying solution or dedicated hardware, a good lighting director and a properly lit studio is essential for creating great results. The better your chroma keyer product is, the better your final result will be. But a high-quality chroma keyer alone is not enough - it needs to be accompanied by a properly lit green/blue studio. Many virtual set/augmented graphics solutions have audio and video delays so it’s crucial to add audio/video delay equipment into your workflow. It’s worth keeping in mind that the only VR/AR solution allowing no video/audio delays is ChyronHego’s end-to-end Plutonium solution, integrated with Robotic Camera products. If your budget and skill set allows for the choice of tracking, then go for it! For broadcasters with lower budgets, resources, and with the sole need for a virtual set, a trackless solution is a very good option and provides a low Total Cost of Ownership. Are you operating in a news environment? Then ChyronHego’s VR/AR CAMIO MOS Bridge is the answer as it allows you to produce all changes in a template-based format via your traditional newsroom computer system. Are you instead operating in the entertainment world? Then automation is a good option for controlling changes within Virtual Sets or Augmented Graphics. One final bit of advice - Don’t place too much focus on the unlimited capacity of the tools you have. Concentrate more on how the tools best serve your story. Virtual Sets and Augmented Reality solutions offer fantastic ways to tell stories in unique ways. Remember, good tools without a good story are nothing! 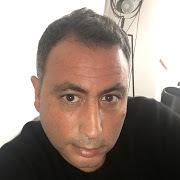 Olivier Cohen is Product Manager of ChyronHego's Virtual Studio Solutions.